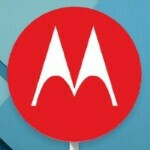 So it looks like Motorola is prepping up the 2014 Moto X for a jump to Android 5.1 Lollipop. Sticking to the same game plan that saw the Moto X get Android 5.0 a few weeks after Nexus devices, Moto is already doing a soak test and it even published a lengthy changelog detailing changes in the update. Notable additions include notification volume control while media is playing, removing heads-up notifications from the screen, pull-down menus on the Wi-Fi and Bluetooth toggles in Quick Settings, improved low-light camera shots and selfie cam responsiveness, Device Protection (lost or stolen devices remain locked until you sign in with your Google account), performance improvements in the ART runtime, bug fixes, and more. Click on the Press Release button below if you want to read the whole thing. It goes without saying that Moto X (2014) users will be enjoying a beastly update! The official Android 5.1 update should be released OTA to unlocked devices in the coming weeks, while carrier devices will have to wait before the update is tested and approved. We are excited to announce a new software update for XT1095 by Motorola. This update brings Android™ 5.1 Lollipop to your phone along with other improvements. For more information on Motorola updates and repairs, visit us at www.motorola.com/mymotox. Block interruptions until your next alarm. This choice will show only when you have an alarm set within the next 12 hours. It will prevent you from missing an alarm when you choose ‘No interruptions’. You can choose to enter a scheduled downtime early. For example, if you are going to bed early and change your notification settings, you can choose “Until your downtime ends”. This option will be visible when within 4 hours of the scheduled start of your downtime. Adds icons to the volume settings panel that match those that will show in the status bar (None, Priority). You can now alter notification volume controls while media is playing. With the volume controls showing, a tap on the bell icon will bring up notification volume controls. Heads-up Notifications: in addition to dismissing a heads-up notification, you can now swipe it up to remove it from your screen. It will remain in your notifications tray and you can dismiss it later. Quick Settings: you can quickly select different Wi-Fi access points or different paired Bluetooth devices with a new pull-down menu on each tile. Conditional settings tiles that only show if you use the feature - like “Invert Colors” or “Hotspot” - can now be hidden via a long-press on the tile. Camera: reduced noise in low-light shots and improves responsiveness of the viewfinder with the front-facing camera (selfie). Device Protection; Lost or stolen devices will remain locked until you sign in with your Google account, even if reset to factory settings. Note that you must have a Google account on the device to automatically enable this feature and set a PIN, password or pattern screen lock. Performance	Improvements in the Android Runtime (ART) lead to faster application launch times. Lockscreen; if you have enabled Ambient Display, the minimum swipe distance has increased to reduce accidental interactions. What! What about my 2013 Moto X. According to some on XDA, it's currently in a soak test. I think that the Android version being soak tested is only speculation at this point... unless you've heard otherwise. It's been in the tech blogs that the soak test for Lollipop is already underway for the 2013 Moto X. It may not be 5.1, but as I said in comment 11, since they're already doing a custom build, they may fix the issues on their own. I doubt they're going to update it to a version that has known bugs and leave it at that, especially for what is one of their flagships. And since they have to do a custom build anyway, it's probable that even if they aren't going to update to 5.1, they may fix the issues pre 5.1. It has happened before. And maybe no 5.1 at all if they struggle so much and result gets not really "convincing". Moto X 2014 is so last year. Still costing arm and leg and no SD-card support! Well, at least it's still getting early software updates compared to the other manufacturers :) Let me remind you that Samsung's Galaxy S6 and S6 edge have no SD card support either. Though I regret the absence of an uSD slot on the phone, what I'm getting at is that some very relevant phones in 2015 won't be getting a SD slot. I completely agree with you with the "costing an arm and a leg" part, though. Motorola should seriously consider upgrading at least the storage options for the current prices. $400 off-contract for 32GB instead of 16GB would be much more relevant already. Micro SD support is so last year, especially since there is so many ways to use micro SD cards in systems that don't offer a micro SD slot. There is a number of small portable WiFi storage devices that users can change the micro SD cards. Also they have the benefit of supporting multiple platforms and simultaneous connections. The best part is they are fairly inexpensive ($50) and they can be left on your key chain, wallet, pocket, bag, briefcase. And the best part is you never have to plug it into your mobile devices. If you don't mind plugging things into your mobile devices, then there is always USB otg cables $2-$5, or even $10 micro USB to micro SD slots. To sum it up its no problem not having a micro SD slot in today's world.